In the RSP podcast, interviewer David G. Robertson speaks with Bjørn Ola Tafjord and Arkotong Longkumer, two members of the Indigenous Religions project (INREL). Describing the episode, the RSP identifies “Indigenous Religion” or “Indigenous Religions” as an ancillary category of the World Religions Paradigm (WRP). To be relatively brief, the critique of the World Religions Paradigm in relation to “Indigenous Religion(s)” has a few main thrusts, and the question of how to study “indigenous” and “religion” is undeniably not a new one. As Malory Nye recently and emphatically states, “There can be no doubt that the academic study of religion emerged out of European colonialism.” This statement references the work that scholars such as Talal Asad, David Chidester, Richard King, Timothy Fitzgerald, Tomoko Masuzawa (perhaps most comprehensively), and other fine scholars have done to trace how the concept of religion, the World Religions Paradigm, and the academy have been implicated within processes of imperialism and colonialism. Within such processes, colonial era Europeans often characterized non-European societies as “primitive,” or lacking “religion” qua Christianity and thus civilization; the territories that they inhabited was therefore terra nullius, empty land available for “discovery.” After occupying various territories for many years and despite the lack of a correlating native concept, Europeans and Euro-Americans also eventually “discovered” what became known as “Indigenous Religion(s)” in the areas in question. Such “discoveries” most often operate(d) through a logic of comparison to Christianity, and relative to the amount of control that colonial governments exert(ed) over Indigenous populations. While these events might seem like years ago, important questions remain: both with respect to the claiming, rejection, appropriation, and protection of what gets classified as “Indigenous Religion(s)” in local, institutional, and legal contexts, as well as whether and how to “decolonize” Religious Studies, as Nye asks. Of course, the co-founders of the RSP and other scholars do question how Religious Studies scholars might proceed following this much-critiqued yet still-operative paradigm. The RSP episode takes these critiques on board, at least to some extent. Tafjord speaks of the “language games” involved in labelling Indigenous practices as “religion,” although he is also interested in focusing attention upon the term “indigenous.” Although also interested in how groups co-opt the idea of indigenous religions, Longkumer notes that he himself is interested in, “how indigenous peoples understand or practise this thing called religion.” However, because these practices vary according to context, “the category indigenous religions is not a primary factor.” Rather, what the people who identify/are identified as “indigenous” are doing with this thing called “religion” is what catches the scholar’s interest. Robertson, Tafjord, and Longkumer also discuss how scholars utilize the category ‘Indigenous Religion(s)’ “to kind-of play the game of the field a little bit, in order for our work to fit in and be understood anywhere.” Given the aforementioned critiques of the WRP, it would be appealing to see more pushback against the structure of the field, and a push to range beyond those bounds when necessary and useful. While Tafjord’s suggestion that those who do fieldwork might offer the whole field an openness otherwise lacking when students are sent out looking for “religion” (and therefore find “it”) is valuable, I am also interested in how the subfield can engage critical Indigenous Studies scholarship. For example, on a panel entitled “But We Do Theorize! Indigenous Scholarship and Sociology” at this year’s Canadian Congress of the Humanities and Social Sciences, Critical Race and Indigenous Studies scholar Eve Tuck, (perhaps best known for her article “Decolonization is Not a Metaphor” with K. Wayne Yang), made a point that struck me as extremely relevant to the category of “Indigenous Religion(s).” Tuck contended that all too often scholars claim to study Indigenous peoples, when what they’re really studying are the effects of settler colonialism upon a wide range of individuals and groups who define themselves in highly variable ways. While Tuck primarily refers to the Canadian context (as a settler colonial state such as the US, Australia, or New Zealand), the subfield of “Indigenous Religion(s)” strikes me as just the sort of study that ought to consider Tuck’s contention. If one takes critiques of the WRP as valid, the study of “Indigenous Religion(s)” is contingent upon the exportation and spread of the concept of “religion” to locales where social actors might lack or disavow the concept as often as they claim it. In effect, studies of “religion” as paired with “indigenous” must address the dynamics of each term within the context in question – as effects of imperialism, colonization, settlement, and perhaps globalization as well. 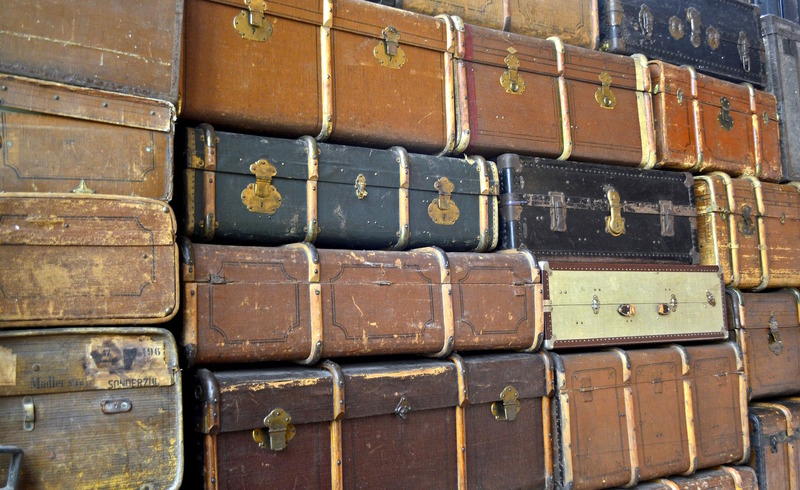 As signifiers, both terms come with at least a truckload (once a train or steamship load) of baggage that must be unpacked. In short: the terms “indigenous” and “religion” are words that imply travel and often trauma, which are tied to specific sorts of worlds. The categories of “indigenous” and “religion” together can be a high-stakes “game” and a gamble, as can claims around indigeneity, secularity, and the sacred. There are those whose lands, lives, and livelihoods depend upon the deployment of these categories for protection. Given the entanglement of “indigenous” and “religion” with discourses on historical injustice and contemporary sovereignty, critical interrogations in the subfield of “Indigenous religion(s)” may gain even more relevance in the years to come. In the interest of supporting graduate student scholarship and academic dialogue, check out a response to the “Indigenous Religion(s)” episode by Liudmila Nikarovna via the RSP. And, thank you to Helen Bradstock for the transcription of the episode in question. This entry was posted in Academy, Politics and Religion, Religion and Society, Religion and Theory, Stacie Swain, Theory and Method, Uncategorized and tagged Arkotong Longkumer, Bjørn Ola Tafjord, Bulletin for the Study of Religion, Canadian Congress, Christianity, Colonialism, David Chidester, David G. Roberston, Decolonization, Decolonizing Religious Studies, Eve Tuck, imperialism, Indigenous Religion(s) project, indigenous religions, Indigenous Studies, Malory Nye, politics, Religion, religious studies, Richard King, scholarship, settler colonialism, Sociology of Religion, Stacie Swain, Talal Asad, The Religious Studies Project, Timothy Fitzgerald, Tomoko Masuzawa, world religions paradigm. Bookmark the permalink. Great situating of the problem of “Indigenous” with “Religion.” May I use this with my “Exploring Religion:” World’s Religions” class? It very succinctly identifies the classification assumptions at play. Thanks! Thanks Karen, and please do! It would be an honour. A belated note: for the sake of thoroughness, I should probably also point readers toward James Cox’s book, From Primitive to Indigenous (https://www.routledge.com/From-Primitive-to-Indigenous-The-Academic-Study-of-Indigenous-Religions/Cox/p/book/9780754655695) and Bjørn Ola Tafjord’s excellent (in my opinion) critique of it, “Indigenous Religion(s) as an Analytic Category” (http://booksandjournals.brillonline.com/content/journals/10.1163/15700682-12341258).